Maddie's Fund® believes we can reach the goal of a no-kill nation now, and countless indicators strongly support the claim. Achieving a no-kill nation today is not only possible, it’s inevitable. This outcome however did not always seem certain. When we look back at the movement’s start in the 1970s, we can appreciate just how far we’ve come to making no-kill a reality. Conversations held 40 years ago seem absurd today. They centered on the best way to kill shelter animals rather than ways to save them. The generally accepted method was a decompression chamber, the save rate was 12%, and no one wanted to talk about it. Practices and ideas from this time included: killing all females as a method of birth control; death was considered a "kindness;” and minimal veterinary care provided in the shelters. Volunteer programs were rare. Foster care practically nonexistent. And it was believed people with jobs shouldn’t have pets. In fact, the general attitude was the public couldn’t be trusted to adopt pets. Thankfully these conversations have changed. Everyone is talking about a 90% save rate and how they can get there. The bond between people and companion animals has deepened. Pet fostering and low cost medical assistance programs are enabling pet owners to keep their pets rather than surrender them. For those who can no longer keep a pet, many re-home a beloved pet themselves rather than depend on a shelter. Years of spay/neuter surgeries by private practice veterinarians, animal shelters, and low-cost clinics have radically reduced shelter admissions. Bold initiatives also are keeping pets out of shelters. Several municipal shelters no longer accept healthy stray, feral and surrendered cats if the only possible outcome is death. The Million Cat Challenge Initiative and Trap Neuter Release (TNR) programs are returning cats back to the community before they ever enter a shelter. More people are adopting pets. The percentage of pets in homes adopted from animal shelters and rescue groups rose to 39.28% in 2012 from 27 % in 2008 (APPA Pet Owners Survey). The number of healthy and treatable pets losing their lives for lack of a home has fallen to 2.4 million (Animal People) - a huge drop from the 24 million shelter pet deaths in 1970. Innovative shelter programs such as foster-based and senior-focused and orphaned kitten nursery programs are saving lives of those who would have been euthanized in past years. Adoption events like Maddie's® Pet Adoption Days, a collaborative effort of countless people coming together to save shelter animals’ lives, have placed record numbers of pets into loving homes for free. 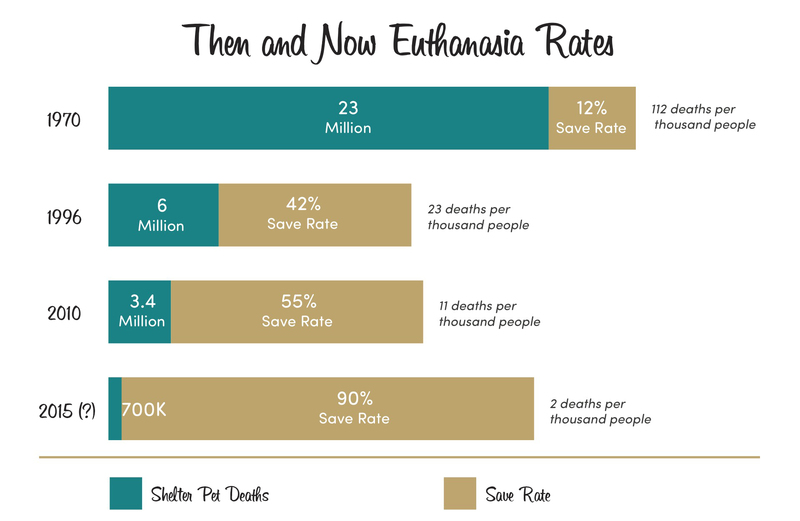 Busting the myths used to justify euthanasia - "too many pets not enough homes," "nobody will adopt an older pet" and "adopting pets for free means poor quality adoptions." More and more animal welfare resources are coming into play. Funding from foundations in 2013 has risen to $50 million in annual giving from $2 million in 1996. This figure is projected to climb to $75 million by this year. According to a Giving USA Foundation 2015 Report, environment and animal causes together were the second fastest growing cause – growing 5.3% last year. 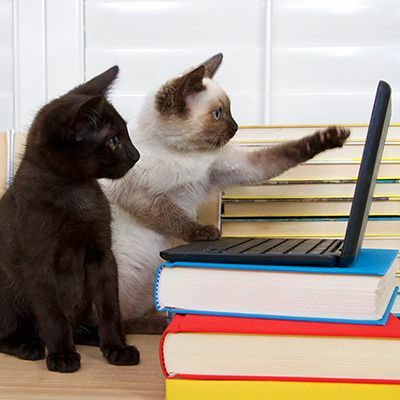 Additional shelter medicine resources are coming online through colleges of veterinary medicine. Starting with a three-year grant to the University of California at Davis in 2001, Maddie's® Shelter Medicine Programs have sparked shelter medicine curricula in 24 of the 28 veterinary schools nationwide. These classes and programs are producing a talented pool of veterinarians and veterinary technicians whose specialized knowledge and skills are keeping shelter pets healthy and treating the sick and injured allowing more dogs and cats to be adopted into loving new homes. The United States pet-owning population and number of households with a dog or cat are increasing. In 2012 there were 178.9 million pets in homes compared to 130 million in 1996 (APPA Pet Owners Survey). Over 220 million pets in homes are projected for 2015 including first-time pet owners and those looking to replace a beloved animal companion. Today 72% of American households have a dog or cat versus 57% in 2004. Pet ownership and spending actually grew during one of the worst recessions in U.S. history. Americans spent $58.4 billion in 2014 on their four-legged family members rising from $34.4 billion in 2004. The 2015 projection is $60.59 billion. No-kill communities are thriving in diverse geographic, demographic and socio-economic regions across the country. Successful demonstrations of no-kill community building can be seen from Austin, TX to Reno, NV to Tompkins County, NY. Programs such as Maddie’s®Community Collaborative Projects, have helped communities to flourish from Dane County, WI to Erie County, NY. The numbers are growing. Fostering is a large component to our getting to a no-kill nation. It not only makes room for more pets in a shelter but also allows a pet’s true personality to shine through by being in a less stressful environment. We’re learning from those with successful foster programs and hoping to share that knowledge across our industry. Public attitudes have changed. According to a 1999 American Animal Hospital Association’s Pet Owner Survey, 84% of the U.S. population consider pets as part of their family. They believe these family members should not be killed, and they are not willing to let them needlessly languish or die in animal shelters. In a 2011 Associated Press poll, 71 % of respondents agreed animal shelters should only be allowed to euthanize animals when they are too sick to be treated or too aggressive to be adopted versus 25% of respondents who said sometimes animal shelters should be allowed to euthanize animals as a necessary way of controlling the population of animals. A recent AHAA National Pet Owner Survey also found people prefer pet companionship over humans with 57% of pet owners surveyed said they would choose a family pet rather than another person to live with them on a deserted island. The Advertising Council, Maddie's Fund and The Humane Society of the United States launched The Shelter Pet Project in September 2009. This campaign, the very first from the Ad Council focused on pets, urges people who are looking for a companion animal to make shelters and rescue groups their first choice for adoption. The campaign has generated over $262.8 million in donated media placements on billboards, bus shelters, websites, TV and radio. Over four million visitors have viewed an available pet for adoption on The Shelter Pet Project website and 2.2 million have watched The Shelter Pet Project public service announcements on YouTube. TV commercials promoting shelter pet adoptions from pet food companies and animal welfare organizations are now in abundance. Adopting a pet from a shelter has become the popular, accepted and politically correct thing to do. Social media has played a significant role in spreading the word in general as well as promoting individual pet adoptions. We can also learn from successful adoption events and rescue groups contributing this movement. Events such as Maddie’s Pet Adoption Days® and senior dog-based organizations such as Muttville have proven people are willing to adopt senior pets and treatables (those with a treatable medical or behavioral condition). We can achieve a no-kill nation now. According to the online survey conducted by Ipsos for the Ad Council, and data from the U.S. Census Bureaus’s Quick, there are 29 million people who indicated they intend to acquire a pet within the next year. 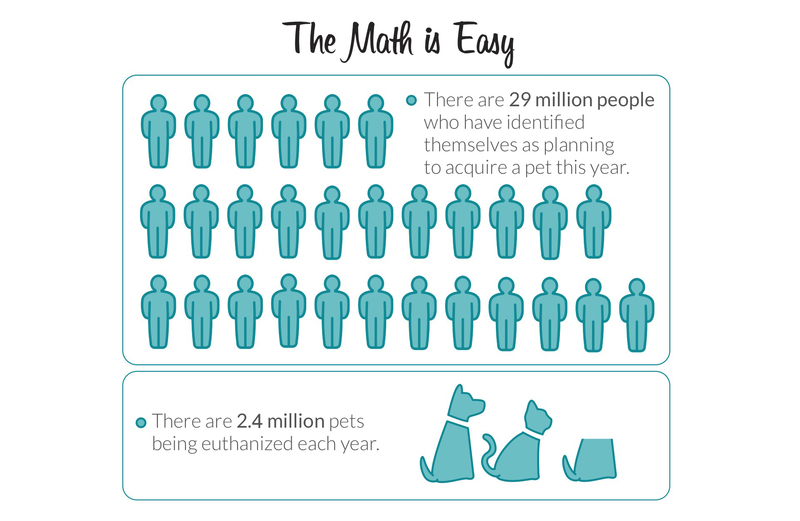 With just 2.4 million shelter pets needing to be adopted, the math is easy and this can be achieved. Adopters need to tell their stories. Studies have shown a potential adopter is 7 times more likely to adopt from a shelter or rescue organization when referred by a friend. Fostering, adopting a second pet, sharing stories and photos about their adopted pets on social media channels will go a long way in getting America across this finish line. Shelters and rescue organizations can be their own heroes. The remaining 2.4 million shelter pets can be saved by collaborating with the community to share stories, bolster marketing efforts, think creatively and showcase customer service as well as demonstrate a "can do” spirit. Most of all – we have to make the conscious decision we’re not going to kill shelter pets anymore. If we decide killing them is not an option, we will find ways to find loving homes for every shelter pet. It’s that plain. It’s that simple.